Find stillness in movement at our beautiful yoga studio in the heart of West Perth. Our love of yoga shines through in each class, with experienced teachers who are all dedicated practitioners. There is a class for every stage of life at our studio and we warmly welcome beginners and experienced students. Kids Yoga starts April 30! Stephen was introduced to yoga at the age of 16 and immediately felt a connection to its benefits. After some years of exploring the practice he dedicated himself to the system of Ashtanga Yoga. 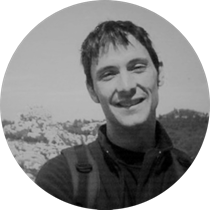 Stephen has made many study trips to India for asana, sanskrit and chanting studies. Stephen is passionate about teaching Ashtanga Yoga and Yin Yoga. He teaches the evening Ashtanga Led, Yin and co teaches the morning Mysore classes. He also finds Yin Yoga a complement to his daily ashtanga practice. 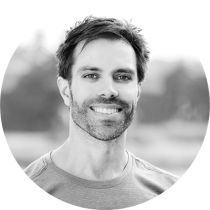 Stephen is registered with Yoga Australia and has completed Yin Yoga & Anatomy Teacher Training with Paul Grilley. 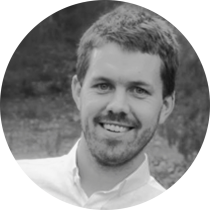 He is currently a student of Physiotherapy at Curtin University and is very experienced in working with injuries in a Yoga context. Saam started doing yoga and meditation in 1991 and spent several years in Asia practicing intensively during the 90’s. He has practiced a wide range of hatha yoga styles and meditation techniques, primarily Zen and Vipassanna. Saam has spent extensive time practicing meditation and yoga in monasteries, centres and ashrams in Thailand, Malaysia, India, Australia and California. He began teaching in 1995 and his dynamic classes incorporate yoga and meditation techniques from all of the traditions he has studied. He is particularly interested in the links between mindfulness meditation and hatha yoga. 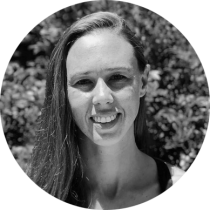 Currently Saam is an associate professor at UWA and teaches Vinyasa classes and meditation workshops at The Yoga Space. He is a Senior Member of Yoga Australia and has 3 young children. Catherine began her yoga journey in 2003 in her home town of Belfast practicing the traditional Hatha yoga method. The sense of calm, clarity and peacefulness she experienced inspired her to explore a variety of yoga and mindfulness practices throughout her 20’s and into her early 30’s before a particularly transformative retreat invoked a deep intuition to teach and share yoga with others. Catherine’s favourite affirmation is ‘A time for everything and everything in it’s own time’. With this in mind she enjoys a fusion of traditional and modern yoga practices at times connecting with the quiet, challenging and structured Ashtanga yoga series, at times embracing her enjoyment of music and flowing to her favourite rhythms in a creative Vinyasa but continually finding balance in the stillness practices of Yin yoga and Meditation. Finding refuge in the breath in practice and in life. 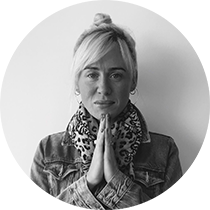 Seeing yoga as soul food for the mind, body and spirit Catherine practices because it makes her happier, more content and promotes a deeper sense of connection with herself and others. With a light hearted approach Catherine finds freedom and joy in the Lila (divine play) of life as a yogi, a teacher, a mother, a wife, a friend. Dimi began practice in her home country of Malaysia at 23. Initially falling in love wiht the physical aspects of the practice yoga has become something much deeper for Dimi. I explored many styles until I found Iyenagr yoga, and then upon moving to Perth I commenced an Ashtanga Yoga practice at The Yoga Space. I find a different kind of strength from my current practice. One where I can show up find softness and space even on a difficult day. The yang nature of ashtanga yoga has also allowed me to appreciate stiller practices a lot more, this includes meditation, yin and restorative practices which I am enjoying exploring. My yoga practice has really become a part of me, riding the highs in life and supporting me in my lowest lows. I have always found a way back to myself through my practice in the changing phases and circumstances that life has thrown at me. This is really why I practice and why I am passionate about giving the gift of yoga back to others. 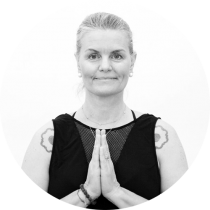 Pam Corbett is a long term Ashtanga Yoga practitioner, Vinyasa teacher and Pre and Post natal Yoga Specialist. A mother of two Pam lives her yoga on and off the mat. Find her teaching Ashtanga Led and Pregnancy Yoga. Friends of The Yoga Space. Come and join us on the mat. Welcome to The Yoga Space Perth, run by Dr Jean Byrne and Rob Schütze, who are passionate about the intersection of yoga, meditation and research. Our studios recognise the power of yoga to meet our needs throughout the journey of life. 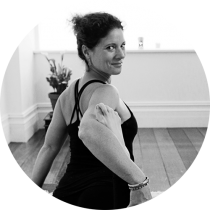 We offer classes to support you throughout the cycle of life with Kids, Pre Natal, Post Natal, Active Birth, Menopause, Vinyasa and Yin Classes. Our regular retreats and workshop will help you to deepen your understanding of the practice of yoga and for aspiring yoga teachers we offer a transformational Hatha Vinyasa Yoga Teacher Training Course (Registered with the YA). Our Teacher Training now has it’s own online presence with Wisdom Yoga Institute. Jean & Rob met in 1999 while at university undertaking post graduate degrees. They lived together as housemates and friends, sharing a study and talking well into the night about their shared interests, yoga, meditation, philosophy, social activism and vegetarianism. Throughout their 20s they had many adventures travelling, meditating, teaching yoga and their early Mysore trips culminated in a 6 month, life changing trip to study Ashtanga Yoga in Mysore. Jean & Rob have a keen interest in research, especially as it pertains to yoga & meditation. Their research has been published in books, magazine, websites & academic journals. They are both research fellows at Curtin University and deeply committed to exploring where the potentiality of practice meets research in order to contribute to the wellness and happiness of all. These days daily practice informs life off the mat as they interweave their practice with family life. Read Jean’s writing here… Our studio is wonderful space in which you can unwind and learn more about yoga and meditation. 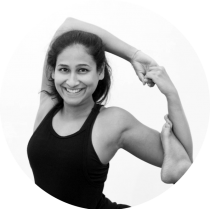 Yoga Space teachers are passionate about their own practice of yoga, are friendly, professional, highly trained and always happy to answer your questions. Beginners to yoga in Perth are most welcome, as are experienced yoga students. We look forward to seeing you on the mat soon. Get a month of unlimited drop in yoga for $49! This offer is valid for new students only, who are Perth residents. No transfers, credits, or pausing of this great offer.